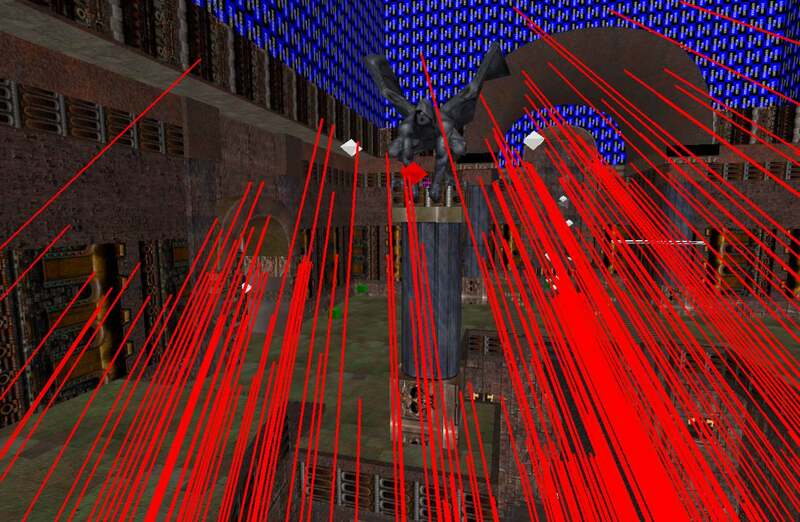 Visfind is small tool that provides a visual representation of the VIS data for a Quake 3 bsp file (a map). Visfind can go through the vis data for a map and find the point at which the most clusters are visible, then find the 2nd most, 3rd most, etc, untill all clusters are accounted for. The location of each is printed as well the number of clusters visible and the cluster number. 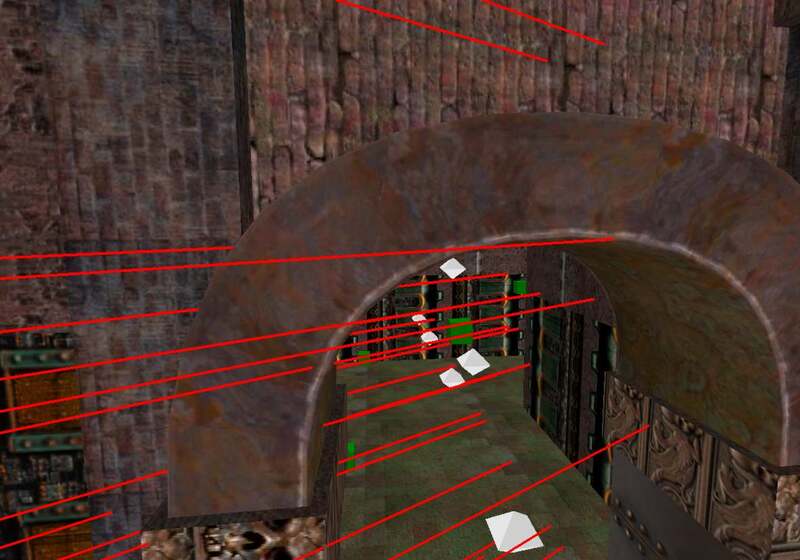 This information can then possibly be used to optimize vis for a map. Visfind will produce a point file that can be loaded into radiant (File->Pointfile)... see the screenshots below. The end of each line points to one vis cluster. 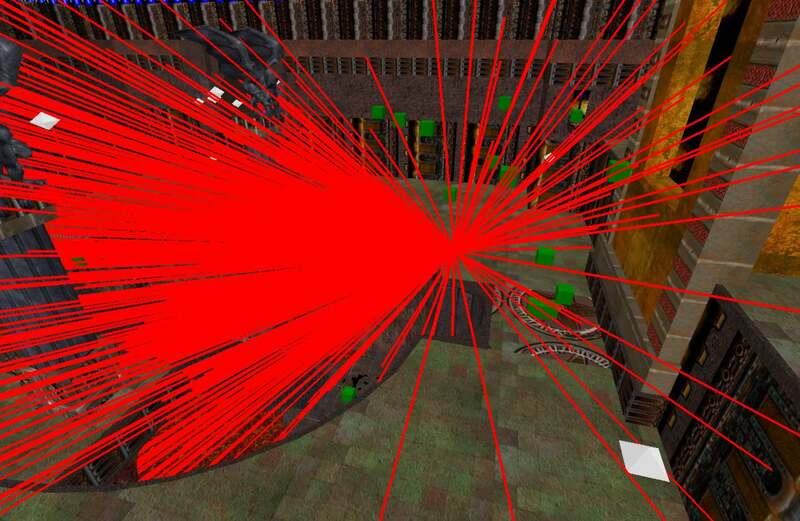 So if someone is standing at the nexus of the lines, they can "see" (well, vis can anyway) an entity at the end of any of the lines.